7th Pay Commission Latest News: The Central Government employees waiting for a hike in minimum pay and fitment factor beyond 7th Pay Commission recommendations are likely to get an increase soon. 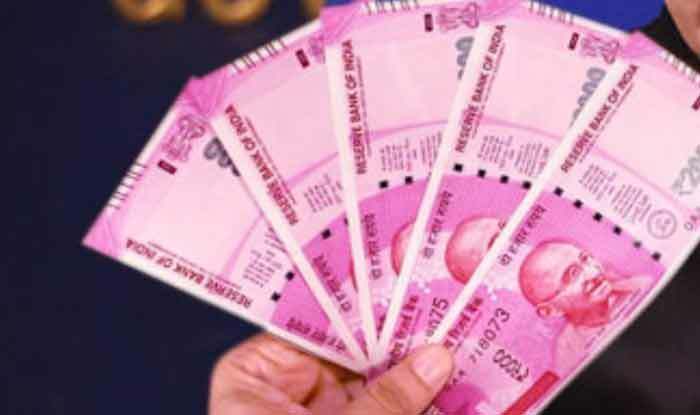 7th Pay Commission Latest News: The Central Government employees waiting for a hike in minimum pay and fitment factor beyond 7th Pay Commission recommendations are likely to get an increase soon. If reports are to be believed, the Narendra Modi-led Centre Government has finalised the raise in minimum pay and fitment factor for the CG employees. However, an announcement on the same may not be made now due to the upcoming Assembly Elections in five states. A report in ZeeBiz.Com quotes Finance Ministry sources as claiming that the fitment factor and minimum pay for the Central Government employees that has been finalised by the Centre is not as per their demands. The CG employees are demanding a hike in minimum pay and fitment factor beyond 7th Central Pay Commission or 7th CPC recommendations. Earlier reports have claimed that the Centre is planning to announce Rs 2,000 hike in the minimum pay of the CG employees. This is not the first time that a report regarding pay hike for Central Government employees has emerged. Earlier in August, it was being claimed by various media reports that Prime Minister Narendra Modi may make a big announcement on Independence Day which was likely to be in tune with Central Government employees’ demands of hike in minimum pay and fitment factor beyond 7th Central Pay Commission or 7th CPC recommendations. However, no such declaration was made by PM on August 15. Currently, the CG employees are getting a minimum pay of Rs 18,000 and demanding a hike of Rs 8,000 which will take up their salaries to Rs 26,000. A hike in the fitment factor, from 2.57 times to 3.68 times, is also being sought by them. The demands are beyond 7th Pay Commission recommendations. Meanwhile, it will be interesting to see whether the Centre announces the hike in minimum pay and fitment factor beyond 7th Pay Commission recommendations for the Central Government employees or not. Notably, Minister of Finance (MoS) P Radhakrishnan, in March, had declared that the Centre is not considering a raise the minimum pay and fitment factor of 50 lakh Central Government.